Raymond V. Gilmartin is the former Chairman, President and Chief Executive Officer of Merck & Co., Inc., a global research-driven pharmaceutical company that discovers, develops, manufactures and markets innovative vaccines and medicines. In July 2006, he joined the faculty at the Harvard Business School as Professor of Management Practice teaching in the MBA program. Known to medical students worldwide as the author of Robbins Pathology and also as an authority in Natural Killer (NK) Cells, Dr. Vinay Kumar is presently the Alice Hogge & Arthur Baer Professor of Pathology at the University of Chicago, where he is the Chair of the Department of Pathology and Executive Vice Dean of the Division of Biological Sciences. Following is the transcript of the recorded interview and we sincerely hope you will learn from Dr. Kumar’s experiences. Dinosaurs, dioramas, Degas! Museums offer the public cultural and educational opportunities, daily bringing both ancient treasures and modern discoveries to the eyes of thousands. However behind the walls of most exhibit rooms, museums are home to collections and research labs that contribute to science. Within the public areas and beyond, museums also employ those with scientific backgrounds in careers as varied as conservation to management. Careers in pharmaceuticals are research-intensive, focusing on creating effective drugs for treating diseases. Careers in healthcare involve not only researching, but also administering treatments. Environmental health scientists, epidemiologists, biostatisticians and, of course, public health practitioners are all examples of healthcare workers. Working with Classified Materials: Why All the Secrecy? With a career in scientific or engineering research it is very likely that you will run across classified materials. There are different types of classified materials which may enter and affect your career. The three forms of classified materials are: Department of Defense (DOD), proprietary concerns, and patents. Thus it is possible that in any work field, your research or project can also be classified if you are working with any of the above mentioned materials. The federal government is America’s largest employer. Approximately 1.8 million people are employed by the government. As a student of the sciences, whether it be computer science, biological sciences, or the physical sciences, there are a large number of job openings in a number of different agencies. For all you astronomers and engineers, perhaps NASA may be the place for you and for all you environmental scientists there may be a future career at the EPA. For those interested in medicine and the biological sciences, the National Institutes of Health may be the right fit. These are just a few of the federal agencies that you may be able to work for. Basics of the Government Pay Scale: Grades, levels, steps? Just like all the programs and agencies that make up government, the pay scale is very defined and categorized. At first, however, pay grades, levels, and steps, may seem confusing since these terms are generally not used in describing pay scales in industry.But in actuality, the federal pay scale is not very complicated. Many students of the life sciences choose to continue their education; however getting admitted to a graduate program can seem hopeless and frustrating. Graduate programs can receive a large number of applications, but they can only extend offers to a limited number of students. So, you may ask, how can I ensure an acceptance into a graduate program when it seems that all odds are stacked against me? What’s it like to work at a national laboratory? Research scientists are always asking questions. One question that students often ask me is whether I like working at the National Lab. And, the question is asked to help determine where to apply for work. It’s a fair question because it is difficult to know what it’s like working at the various different types of institutions. But, the answers and levels of satisfaction frequently vary widely, even at the same institution, or within the same group. Sometimes two people with similar jobs in the same office can offer extremely different opinions. So I hope the opinions expressed in this article are beneficial. There are advantages and disadvantages to working in any of the many types of institutions. Common categories are a university, college, national lab, industry, or private research institution. One major difference between these various categories of institutions is related to the funding source. At the national labs, private research institutions, and many government research facilities (such as the Veteran’s Administration) scientists obtain almost all their funding from research projects. That is, their paycheck depends on whether the scientist has a key role in one or more research project(s) in which the funds originate from outside the laboratory. Researchers at a US Department of Energy (DOE) laboratory, for example, are strongly encouraged to obtain their own projects from DOE. At some national labs, you can also obtain funding from private industry and other non-DOE clients, but even in those cases, much of their funding comes from the sponsoring agency. It is through those projects that the company obtains essentially all its operating expenses. The funded projects are obtained through competitive bidding. Most often, an agency will announce they are interested in scientists bidding on helping them solve either a very specific or general problem. All researchers interested in bidding for the work will write a proposal and all the proposals compete for the available funding. It is typically difficult to win projects in this way, but that is our predominant process at universities, national labs, and contract research organizations. If all of your proposals are successful, you can become extremely busy. The converse is true if they all fail. But, learning to survive in this environment may be one of the biggest challenges of a scientist required to survive off of research grants or contracts. This flow of funding sets the tone of operations for the entire institution. Since DOE is the main client of a DOE contract lab, those facilities operate with a strong emphasis on the interests of DOE. For example safety and security are priorities for DOE, and they are for their associated national labs as well. Since these are common corporate goals, the federal employees and lab employees help each other meet or exceed expectations in these areas to help keep the primary client pleased with their performance. National labs have some teaching opportunities that are typically tied to research, but these student positions are of a different flavor than those positions involving teaching such as that at colleges or universities. Students that apply to work as interns at the national labs and have been accepted into specialized programs can work at one of the participating national labs during their summer break. This work is typically on one or more research projects. This is a mutually beneficial process because while students have the opportunity to participate in cutting-edge research, lab scientists benefit from the lower cost of labor, and the students earn good salaries while gaining experience. Many students enjoy working at those facilities and a few will extend their appointment beyond the summer. The universities tend to be less focused on project dollars because they also have other sources of income such as from tuition, donations, and for state schools, tax revenues. Working at a college or university tends to emphasize teaching because their mission is to help produce well educated graduates. But, there are some strictly teaching positions and some strictly research positions at many universities as well as positions which blend the two. Colleges and junior colleges tend to emphasize research to a lesser degree, or may not encourage it at all. For those who work in industry, there is a strong linkage between research and product sales. If a research project is projected to increase sales for the company, there is a much stronger chance it will be approved. Therefore, projects in industry tend to be focused on projected sales rather than on the needs of a federal client. One important factor when working for industry is that grant proposals may not be required, or they could be very much abbreviated from those expected of contract research institutions. So, when deciding whether to work for private industry, the federal government, a university, or a national laboratory, the funding source should be considered. At many larger research institutions, there are almost endless possible projects that one can work on. Some organizations encourage research diversity. That is, researchers are encouraged to work in more than one field. Some may like to keep active in at least a few different fields. Others may prefer to remain focused on one small topic and work on that for a lifetime. There are advantages to both approaches and it is important to encourage diversity in order to maximize new discoveries. Large facilities also tend to have a wide range of expertise and equipment to help solve almost any scientific or engineering problem. Those that don’t can always collaborate with others who have the necessary equipment and expertise. I’ve personally remained active in several different fields and have enjoyed that freedom that the national lab has provided. Another consideration is whether staff are encouraged to work on projects outside their group. At some national laboratories, almost anyone can be borrowed, or hired from across the complex to work on any project, if their manager is willing to allow them to do so. Some facilities might be more restrictive of their staff. Similarly, scientists may or may not be able to search out existing projects that interest them and try to convince the program manager that they could contribute to their research. This type of open matrix structure tends to encourage diverse collaborations in a free-thinking environment. 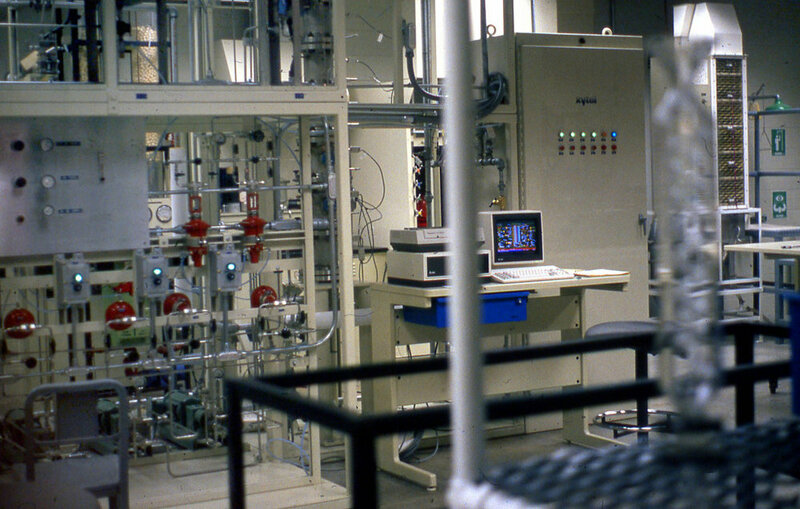 Battelle currently operates the Pacific Northwest National Laboratory (PNNL) for DOE. Battelle is a not-for-profit contract research laboratory. Battelle also assists in the operation of several other national laboratories in the United States. Because Battelle is not profit oriented, the organization is focused on getting the very best job done within the provided resources. If there are net gains from any client, the company either sends the remaining money back to the client, or reinvests those dollars back into the organization or the community. In conclusion, working as a scientist is a rewarding and demanding profession. When selecting career goals, young investigators should consider the different available options. The type of facility you select for your career may influence the type of research you perform. However, whatever choice is made will likely provide valuable and enjoyable opportunities.